Our women's slip on sneakers come in canvas and leather and are designed to bring out your bold, bright, casual and classic styles. 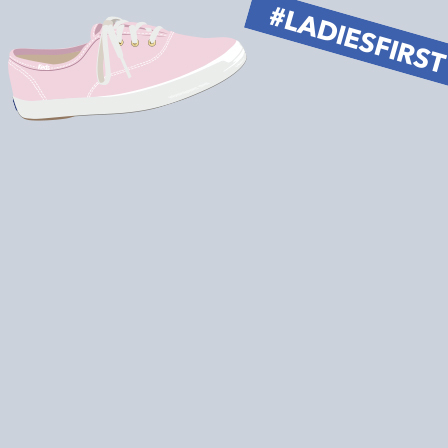 Learn how to rock your favorite Keds fashion by browsing our #LadiesFirst page online. 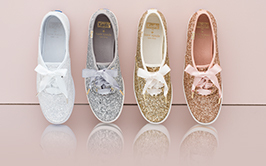 Slide into style with metallic, plaid or sequined women's slip on shoes from Keds, or try a more subdued look with luxe leather or washable canvas designs. We offer casual mules and chukkas in everyday looks, plus trendy double- or triple-decker women's slip on shoes that are anything but ordinary. If you're a girl who's always on the go, shop all of the slip on and travel shoes by Keds to find your perfect pair today.